Lawn Sprinkler Repair Odessa Fl Free Estimates Work Warrantied. 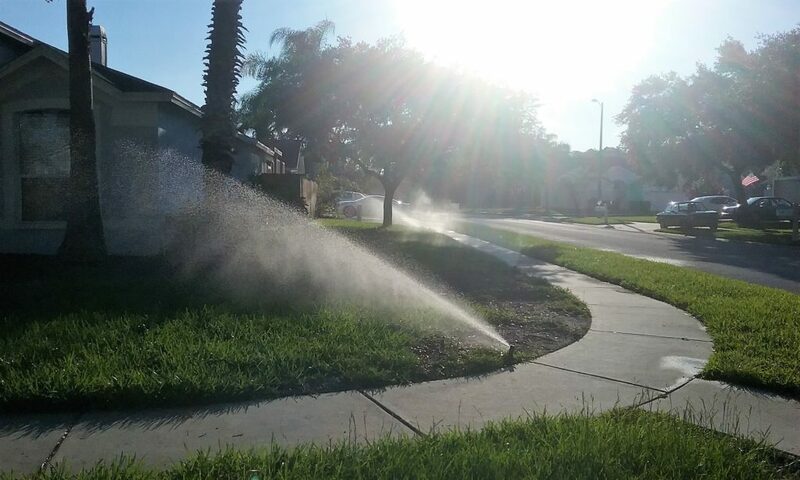 Lawn Sprinkler Repair Odessa Fl, American Property Maintenance has over 20 years experience repairing sprinkler systems, irrigation repairs, sprinkler valve repair and much more. Broken Sprinkler Head, This is a common irrigation repair, and not that expensive. You have two types of sprinkler heads in your yard, Spray Head and Rotors. Sprinkler spray heads just spray in a certain area as the rotors shoot real far and cover a lot of ground. We believe that Rain-Bird has the best lawn irrigation controllers. With that being said a sprinkler timer is very important, this allows you to set the water days and start time. Sprinkler Valve Repair, this is one of our most common service calls for irrigation repairs. The reason irrigation valve repairs is our most common call is because a sprinkler valve has two main parts a diaphragm and a solenoid. Additional Zones Added, American Property Maintenance is the leader in irrigation designs. We have been designing irrigation system for over 20 years. Valve, Manifold Location, This type of sprinkler repair service call can be time consuming. As an irrigation expert locating valves is something I’m really good at. We have certain tools that can help us located your lawn sprinkler valves if needed.